This is the second part of my “Recording audio with your video DSLR” post from last month. Apologies for not being to get this out sooner, I’ve just been busier than I anticipated. In any case, first I want to thank you all for all the great feedback and questions regarding that post. I am going to try and incorporate some of the questions I have received in this article, but if I do not, please DO let me know via the comments. In the original article I talked about lavaliere (or lapel), microphones as well as the microphone built into the Zoom H4n. However there is one other microphone that I use specially when shooting wildlife and that is the Rode VideoMic, this is a shotgun type microphone. These types of microphones are highly directional and are used when you want to isolate the sound that is right in front while minimizing sound coming in from the sides and rear. 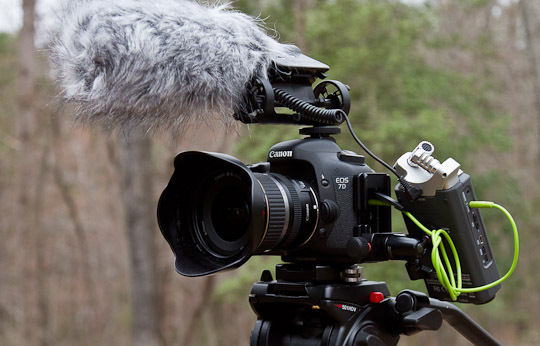 This is particularly useful when filming wildlife, however they can also be very effective to record an interview when you do not have a lapel type microphone. I have been using the Rode VideoMic for about a year now and have been very pleased with it. Do keep in mind that as with anything else, there are practical limits to how far a shotgun microphone will “reach”. On occasions what I have done is used an extension cable to place the microphone closer to my subjects. Since the VideoMic using a mini jack type plug, I used a simple mini (3.5mm) jack extension cable such as this one from cables unlimited. One limitation to keep in mind in regards to the Rode VideoMic is that like most shotgun microphones this microphone records on only one channel. If you need a stereo microphone, I would recommend the Rode Stereo VideoMic, do keep in mind that this is not a shotgun microphone, meaning that it will capture most of your ambient audio. Now that you have all this gear, you are ready to start recording some video and audio. Although recording on two devices is a bit more cumbersome and complex than recording on just one device, the sound you record will be of much better quality and this in turn will significantly improve your videos. Start video and sound recording near simultaneously. This is an idealized sequence of events, sometimes you are not able to perform all these steps, for example when recording wildlife, but for me this sequence makes is very easy to match audio and video clips together, hence the stating of date, time and sequence number. Plus the clapping of the hands makes it very easy to then synchronize the audio and video manually. I have also been asked by a few dozen people if and why I connect the Zoom to the camera, and the answer is yes, I connect the audio out from the Zoom to the audio in on the camera; and the main reason is to get as clean an audio recording on the camera as I can. I do this for two primary reasons. First, I have gotten lucky and had decent sound recorded on the camera, and in those cases I was able to use that sound and not have to bother with merging the Zoom audio with the video. Second, as a safeguard in case I mess up somewhere along the line, which happens more than I would like. 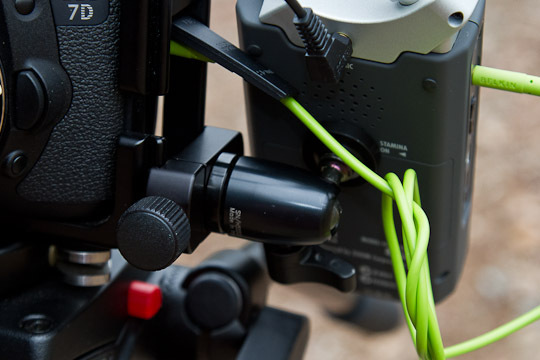 Connecting the Zoom and the 7D is easy, all you need is a short Mini Jack (3.5mm) male to male cable such as this one. Once I am able to download the both my video and audio files, I simply watch the first few seconds of the video files and listen for my bit where I state the audio sequence file, then it’s easy to find out the matching audio file. I will then add an identifier to the filename of the audio file in order to make it match the video file. This step you have to do regardless of whether you are manually syncing the files, or using automated software like Plural Eyes to perform the syncing. I have tried using Plural Eyes, and while this plug-in performs admirably, I find that I can sync the video and audio very quickly and with little effort in my video editing system, Final Cut Pro, simply by watching for the clapping movement of my hands and matching that to the audio levels peak on the Zoom audio track. It takes a bit of practice but I am now finding that I can perform this sync in less than 30 seconds per video file. If for some reason I was not able to perform my ideal recording workflow as I outlined above, it may take me a bit longer to do the matching by using both audio tracks as well as some video clues such as lip movement if I am recording a person. I’ve been surprised by the number of questions I’ve received about the bit of kit I use to mount my Zoom to the camera. Honestly this is something I put together from bits I already had. A precondition to my set up is to have an L plate installed on your camera. I have the Really Right Stuff B7D-L L quick release plate on my 7D. This is required for this set up since you will be clamping the Zoom setup to the side dovetail mount. By the way, I have found this L plate to be HUGELY beneficial for both stills and video shooting due to the bi-directions bottom dovetail mount. More on this on a future post. Originally I used a Really Right Stuff B2-MAS Quick-Release clamp, mated to a Gitzo G0077 ballhead. I also tried using the less expensive Giottos MH1004 Mini Ball Head, but found it to be just a tad too short and the zoom would bump up against the camera L Plate. However now that I am going to be using this as my long term solution for mounting the Zoom to the camera, I’ve replaced the small RRS Quick-Release clamp with the Kirk 1 inch Quick Release Clamp, the reason being that I need the RRS clamp for my macro slide, but also the Kirk clamp is smaller and lighter. However the biggest drawback of the Kirk clamp is that it is treaded and you will need a 1/4-20 stud to be able to attach the ballhead and clamp together. I hope you found this article useful. I tried to answer all the questions generated by the first part of the article, but if you feel I left something out or did not adequately addressed your question, please feel free to post in the comments and I will do my best to answer them in a timely fashion. 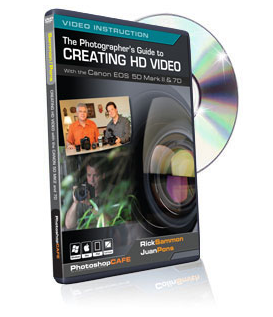 Great info, I’ve got a 7D coming sometime in the next few days, can’t wait to experiment a bit with video. Just out of curiousity, what kind of range do you get from the Rode VideoMic? Most of the wildlife I photograph is a fair distance away. It depends on the environment and the source of the sound. I’ve recorded the heavy breathing of a bison lying down maybe 50 feet away, but remember this is not like a telephoto lens. It does not really amplify the sound, just merely isolates the sound source. Ahhhhh right, I guess that makes sense. Thanks Juan. Great stuff, is there anywhere we can see – oh I mean hear one of your videos? Take a look at Part I of the article, there are two videos where you can compare the sound. Thanks Juan, sorry about that, I just started subscribing to your blog and missed seeing the other one. Not a problem! Hope you are enjoying the site. Canon 5D II’s new firmware update 2.?.? now makes it possible to control the sound recording level, which should eliminate the AGG recording problem you talked about in the first article, or am I misunderstanding this? In any case, are the wired microphones that you here suggest the same as you would suggest to use for recording directly in the camera? Glad my articles peaked your interest. The issue about the manual audio control with the new firmware is debatable. Yes you will be able to get better sound now than you were able to before, but there is still no way to monitor the sound to ensure the quality of what you are recording. The only thing you can do is record a bit and then play back to kinda get a feeling of the audio you are getting. So while the new firmware will make improve the sound quality, the dual system will still give you more flexibility and better results, with a little more work. To answer your second question, yes you could use those same microphones whether you record directly on the camera or on the Zoom H4n external device, this is one of the reasons I recommend those particular microphones. Thanks for the quick and precise answers! the cable you use from the line out of the H4n to the Mic of the 7D – is it an expensive -25dB PAD, Line-to-mic cable? How are you finding the sound levels on the camera? Cheers. The cable is just a simple male-male cable. Juan, the setup with the audio recorder mounted looks doable, but a little bit messy compared to another shooter.Take a look here and look at “Dan Chung filming China’s migrant children using the Canon 550D / T2i”. The way they mounted the Tascam looks real clean, but I really want to know what kind of bracket they are using. They closed the comment section, but someone here might know. Please comment if you know. Hard to say that his rig is any cleaner or better since you can’t see at all how he is mounting his recorder. Also I don’t like the fact that his recorder is mounted sideways, hard to confirm the recorder is working while looking at the back of the rig, you have to look to the side to see the screen on his recorder. On my set up the screen on the recorder and the camera are both to the back so you can easily check on things. Having said that, he may be using something like the Zacuto Gorilla plate. But again impossible to tell from those pictures. The sideways mount is it’s weakness, I agree. Check this out. With this you could maybe mount the recorder facing you. If there isn’t enough space, then you could mount the recorder facing you on the camera hotshoe and the microphone on the handle. What does everyone think? Another thing. Did you ever put a follow focus on your rig? Your rig does look like it might have space for a follow focus, while if the Dog Leg Plus is used, the handle might not allow space for one. I already asked the maker and they said the handle can be removed from the plate, but there goes the recorder/mic stand. I’ve seen those mounts before, but to me is seems that mount would put the recorder horizontally, and while probably easier to see than the sideways mount, still not as convenient as a mount that places the recorder on the same plane as the camera LCD, that way you can monitor the video and audio levels at the same time. You can use a Ikan Camera Shoe Mount v.3 and then have the recorder facing you. By the way, you never answered my previous question. Did you ever mount a follow focus on your rig? Was there enough space for one? Sorry I forgot about the Followfocus question. No I have not mounted one. I would think that there is room to put one one, but it reaching the followfocus may be problematic since you have the Zoom right there, unless you add an extension handle. But then it would still be hard to see the markings. I have seen people put the FF on the right side… Not sure that would work for me though. In regards to the shoe mount, yeah you could use that, but that does not work for me because I usually will have either the shotgun mike or the wireless mike mounted there. Hello Juan, Thanks for the sharing your details on how you set up your Zoom 4n. I tried your method and ran into a strange problem: When I came back and started inputing my 5D footage, one of the sound channels would sometimes have sound from a previous sound recording, instead of the actual sound. Really weird. Have you had anything like this happen? I’m trying to recreate it now. I used both the Zooms XLRs (one with a mic and the other for wireless). I connected the Zooms sound to the 5d like you did with the line out from the zoom. Also, how are you matching the sound levels of the zoom to the 5D? I did it manually, and have to turn the 5D sound level almost all the way down. Sorry for taking so long to respond. That is indeed a strange problem about the mixing of channels and previous recordings. I would suggest installing the latest firmware on the H4n which you can get from here http://www.zoom.co.jp/english/download/software/h4n.php. In regards to the sound levels. You may need to lower the sound to the lowest settings or even set the audio out to line level. Thanks. So far the problem hasn’t happened again, but I’ll certainly update the firmware. why do you have to use rode video mic when you can use the built in Mic on the h4n? I use the Rode Video Mic when I need a shotgun type microphone, as I stated in the article. If I do not need to record directional sound, I will use the built in mics on the h4n. Hi, I am new to H4n and audio recording stuff. From your statement and a set up shown in photo 1, can’t you use both microphones to record simultaneously? For example, Rode videomic for directional sound and internal H4n stereo mic for an ambient sound. Then you got both sounds at the same time you recorded. Thanks for a great write up. Sounds from RODE and built-in Zoom microphones are recorded in Zoom SD card, am I right? Then which sound(s) is recorded in camera/camcorder embedded in video? Since I want to record both ambient sound (by H4n) and directional sound (by RODE videomic Pro) without working on syncing the audio files later or at least less work in post-processing. Any suggestion or recommendation would be appreciated. Just curious and want to know these before buying both microphones to use with my newly Sony CX700V. Thanks again. In this set up only the audio from the Rode is being recorded on the SD card and on the camera. Just to let you know I purchased the microphone extension cable you linked to in the post and I am having issues with it. At first I didn’t notice it but after I while recording with it compared to connecting the Rode mic directly in to the camera I get increased noise and some high frequency roll off. The shielding in this cable is not done correctly for use with a microphone and therefore is creating problems. I am looking for a replacement. No worries the cable was only 5 bucks and I can probably use it for headphone extension. That is weird. Wonder if you got a bad cable. I got mine from the local Radio Shack, but I know others who have ordered that same cable from Amazon without any trouble…. That’s because the cable you are using is not a shielded XLR mic cable that can be used for long distances. An 1/8″ male cable is not designed for very long runs and you will get noise and audio degradation. Thanks for the great articles Juan, they have been very helpful. What have you found to be practical range of the Zoom’s mics to be for speech? I need to use my 7D to create several 1 minute videos with one actress in a forested setting and am trying to determine if I need to pickup a better mic or if I should just boom the Zoom. Sorry, I did not notice this question until today. Range will depend on the noise levels, but in order to get the best recording, I would recommend a wired or wireless lapel microphone or as you suggested placing the zoom on a boom. Great article! Definitely sold me on the h4n. I will be picking on up very soon. Your mounting looks great….BUT….what would you suggest for mounting when using a stabilization system like the Ikan Flypack II? The handles make the mounting the h4n much more problematic. Hard to say since I have not had the chance to try that, but I am sure there has to be a way to hook it up. What I lime about my setup is that the zoom is also on the same plane as the back of my camera and it makes it much easier to operate vs. having the zoom mounted on top. So I would try to get it mounted on the side homehow with the screen and controls facing you when operating the camera. Thank you for the articles! This is EXACTLY what I have been searching for! Great articles. Thank you. My question is to do with playback. If I record a scene this way on the h4n is there a way to playback the sound after it is recorded to check it? I directed many episodes of a TV and the DoP used a 7D – recorded the sound through a mixer directly to the compact flash card. And the only way to check the sound was to play it through the tiny little speaker on the 7D. Needless to say, I could only check to see if sound was recorded but not the quality of it. Yes the Zoom has a built in speaker, but better yet use some headphones and you can play back to recording immediately to check on the recording. However since you can monitor the sound LIVE on the zoom, you ma find yourself not needing to listen back as often as you think, since you can listen to exactly what the zoom is listening to. what do you guys think about using this for mounting mics/other acessories? Seems to be a homemade bracket. Does not look very sturdy or easy to use to me… But your milage may vary. if those are steel brackets, as most L brackets are in hardware stores 4 homemade projects, how would it not be sturdy? I guess it’s all about the design. The way those brackets have been bent and the way they are holding the weight would make them “bounce” up and down and possibly introduce some shake on you entire rig. The effect would be amplified by the way the camera is mounted to the rig, with that skinny long nut. Definitely inexpensive, and creative, but not something I would use in a crucial moment. Not cheap, but you may be able to use them as inspiration for some homemade rig. This design will be MUCH more sturdy and ultimately more flexible. all of those seem quite bulky and heavy! today’s components are small and light–seems like they were designed for yesterday’s components. and too, if you want to mount a video camera/shotgun mic/wireless receiver under your camera none of those brackets will let you do it, as expensive as they are. $500 bucks seems a lot to spend on a system that simply lets you attach a mini/light mic, light panel, video camera, audio receiver/etc. ;while also not providing any way for you to rotate the second camera/shotgun mic/light relative to the main camera…. it’s always puzzled me–you can get a great camera with a refined lense and cutting-edge electronics in a metal, weather-sealed body, for under a thousand bucks, and then a piece of metal with some holes in it costs the same!! perhaps we are due for some simpler, lighter, smaller brackets for a new age of lighter, smaller cameras/mics/lights/audio recorders/etc. ;) nor do they allow one to mount mics/wireless audio recievers/audio recorders below the camera, letting on keep the flash bracket free for, say, a flash or light or 2nd bracket. I am a student, finding the $900 price tag a bit steep. I already have Zoom H2. 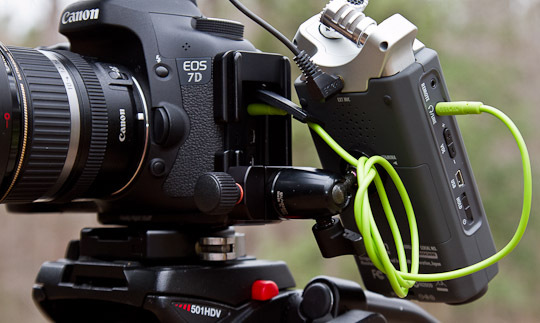 As far as I know the Canon 2ti is the only DSLR in that price range that has an input for an XLR cable. I was wondering how important this is. If I am recording sound on the H2 or other equipment is the ability to plug it in to the camera important? Or can I go with a cheaper camera that has video. Like a Nikon which I am more drawn to anyways. No video capable DSLR out there has an XLR input, as far as I am aware. Most cameras have a simple 1/8 inch input. Piping in the sound from the recorder into the camera is really only necessary when the subject is far away and the camera’s built-in mic can’t capture the sound well enough to assist in the syncing. If you use something like Plural Eyes, you WILL need a good enough audio track on the camera for plural eyes to sync. If you are doing manual syncing, you may be able to get away without having good audio, specially if you take care of tagging your video and audio files, but having a good sound track on the video file helps. I’m shooting Nikon D300s and don’t have experience with Canon. Just wanted to connect my H4n to my DSLR. I read that you use a simple male/male cable to connect both. although you have a “line out level” on the ZOOM and a “Mic in level” on your DSLR. PLUS the mic in sends power for plugin mics along. Wouldn’t i damage the H4n connecting it to a socket that sends out power? You can change the setting of the headphone jack on the Zoom h4n for either phone or line level. do you know anything about that plugin power? The D300s and presumingly the Canons as well are feeding connected mics. (sending out little voltage to feed the mics) doesn’t that damages the H4n? who clearly don’t need/want power-input on this line/phones out. how do you do that? Thanks! You have to go into the menu system on the h4n to make that change. Hi, great site and info. I noticed you have the H4N plugged into the Canon 7D is this necessary and if so, why? I have the RODE condenser shotgun mic ($150) will this plug easily into the H4N with no additional cords? Do you do recording while listening w headphones? I often times feed the out from the zoom back into the camera, it all depends on how far away my subject is from the camera. When I am using the wireless mics the subjet can be quite far away and in that case the camera may not be able to pick up the sound. I oftentimes will use the sound from the video file for reference in syncing. Not sure which Rode you have, but it should connect, as the H4n can accept just about any type of plug, XLR, 1/4 inch or 1/8 inch. I try to monitor the sound as often as I can, as you never know when you may get some interference from the wireless mics or the mics may just not be pointed in the right direction. Thanks for the quit response to my many questions. I am using the same RODE mic as in the photo at the top of this page. With that mic I can just plug into the H4N and bypass the camera all together? Thank you for your article and helpful information. I am curious about the mini stereo cable you recommend to connect the zoom to the camera. I used a regular one and the audio recorded on the camera was burned. Too hot. I used automatic audio recording mode on the camera and tried it again with manual, but still the audio was burnt. The signal coming from the zoom out to the camera in is too hot. What do you do about that? Please advise if you have suggestions. Got it. I lowered the headphone out audio level and it worked. Beautiful. Currently considering a Canon 60D with a shotgun mic and the H4N Zoom. Had been considering Azden SGM-2X and the Sennheiser MKE 400 over the Rode VideoMic, based on reviews and comments. I was, however, confused by one thing in your post. Did you mean to write a 1/4-20 screw or bolt or did you mean to write stud? How long should the 1/4″-20 ‘stud’ be? Did you purchase yours at a hardware store, like Home Depot? Yes you need a stud, and the stud should be about 3/4 inch long. Home depot did not have them so I found a bolt and used a bot cutter to cut one. But only because I wanted the stud right away. You should be able to either go to a specialty store or order the stud online somewhere. This stainless steel, hex socket drive, set screw should meet the requirements. What do you think? Those look like they will work! Do you know if there is any problem with using a mini “Y” plug in the Zoom so you can listen on headphones continuously and be plugged into the DLSR? Thanx for all the info you generously provided here. You should be able to do that, but remember you will have a diminished audio signal, meaning the volume will be lowered. Good day, I recently set up my 5DMK2 with the Rode Video mic (not the pro) along with the zoom H4N as I was inspired by your set up. May I ask where you got your windjammer (dead kitten). I am trying to source one out and Rode doesn’t seem to have made one for the first generation of Rode Video mics. Thank you in advance. – Any idea what the battery life of the unit would be powering a better mic such as a Sennheiser 416 requiring phantom power? – Any idea of performance in extreme cold? – Any way to connect two wireless receivers at the same time as a directional? I am definitely no expert here but let me take a stab at your questions. 1. I do not know since I don’t use mics that require phantom power. However what I have heard is that the battery life in this case is less than 1 hour. 2. I have used mine in pretty cold temps ~32f but definitely for not very long periods of time. If I were to do this I would use Lithium batteries, and attach a handwarmer near the batter compartment on the bottom. I can’t forsee the Zoom itself have any difficulties, I would be concerned about the batteries. 3. I am not sure what you mean by this, but I connect two wireless units quite often, using the two XLR inputs. There is also a stereo mini-plug input that could be used and you could mix two inputs before going into the mini-plug if needed. Brilliant post, recording audio is often something overlooked by newer film makers it’s great to see someone is taking the time to give indepth information. Unfortunately I do not. All L brackets I have seen are on the pricier side. I’ve got a quick question for you. I borrow a H4N over the weekend and used my rode video mic, just like you have with the intention to do the same as you were doing. However, (and this is probably my lack of playing with it first) but does the H4N let you record from the Rode “Line-In” and also teh built in mics at the same time, so I can capture a clean feed, and also an ambience as well? Just thought I’d ask someone with a little experience in using the Zoom. Nope you can’t use the built in Mics AND the mini plug connector at the same time, it’s either or. I also have a need for using both the built-in microphone and the Røde videomic, and I have tried connecting the Røde videomic into the XLR/jack inputs using an minijack to jack adaptor but without any luck so far. Any reasons as to why this setup will not work? You can connect the videomic to the mini input on the bottom of the h4n, no need for adapters to go into the XLR inputs. If you want to record on both the videomic AND the built-in miss, you need to go into the 4 channel mode on the h4n. This is all detailed in the h4n manual. Great, informative post, really helpful, thanks. Q. Why is the sound that comes from the audio out of the Zoom and into the Audio in of the camera (as you have written above, as a backup) different to that recorded by the Zoom and that you then sync afterwards in Final Cut Pro? The reason I do that is in the case that the subject is fa away. In that case the audio may not be picked up by the cameras built-in Mic. This could easily happen if I am using a shotgun or wireless mic. I record using a H2n mounted on the hot shoe of my camera. I modified some shock mount and it hangs on rubber strings in front of the camera. I managed to reduce the sound coming from the camera body, however, changing aperture, or hitting a tripod brings the noise to the recording. Could these noises be heard with shotgun type of microphone? Any advice how to position and isolate H2n not to record camera sound (touching it etc)? A shotgun mic will reduce significantly the noise generated by handling the camera. Specially when using a shock mount. The Rode Video Mic has very nice shock mount built in. But remember you still have to be very careful about handling the camera. Hi Juan, thank you for being so informative and patient with us all. I am trying to understand where the sound recordings are saved with your setup using the Rode Video Mic. When it is plugged into the H4N is there a sound file saved on the H4N AND ALSO embedded into the camera’s video file? If so how do you know what sound file is the H4N file vs. the Rode mic file on the sd card? Are they two separate files? If I used just the Rode mic without the H4N, would the sound overwrite the recording from the camera’s built in mic? Do I understand correctly, that in order to monitor and control my sound I would want to record using an H4N even if I only needed a shotgun mic? The audio recorded with the Zoom is saved on the CD card that is in the Zoom recorder and the sound recorded with the camera is embedded in the video file. So these are TWO separate audio recordings of the same event. The one recorded on the zoom should be much better quality than that which is recorded by the camera. If you use the Rode Mic hooked up to the camera, what the camera is doing is disabling it’s built-in microphone and using the Rode Mic which is much higher quality. And yes you are correct that the Zoom would give you the ability to monitor the sound being recorded by the Rode Mic, the camera itself does not have that capability, but at that point you want to then use the audio file recorded on the Zoom and then when editing the video sync that audio with the video and replace the audio that was embedded in the video file with the one recorded on the Zoom. I’m using a camcorder that has a headphone socket. Should I monitor the audio on the camcorder or using the y-splitter from the zoom recorder? I would monitor from the divide whose sound you intend to use use in your final video. This is a fantastic article! Definitely the most helpful I’ve come across, on this topic. With that said, I’m wondering if you get quite a lot of noise from the RODE Videomic with the h4n? I have the 7D and the Videomic, and there’s that AGC problem everyone has, I’m wanting this so I don’t have that problem, and so I can have the audio recorded separate from the camera. Again, a fantastic article and I appreciate you taking the time to answer our questions! Make sure to adjust the volume on the h4n as needed to improve the quality of the audio. I’ve used the VideoMic with the h4n on numerous occasions with great success. 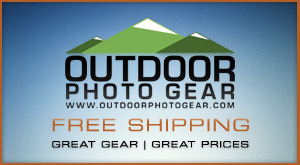 Yes Really Right Stuff sells the B600D-L specifically made for the T3i. I have been having a great time experimenting with my Canon T3i/Zoom H4N rig. Your articles have been very helpful in getting me set up. The T3i/H4N combo seem to work well together but I do have a concern in regard to the recording levels. When the H4N is connected to the T3i with a stereo cable (H4N headphone/line out jack to T3i mic in jack) the volume recording levels have to be turned very low on both T3i and H4N or you get clipping on playback. When an attenuating dubbing cable (Radio Shack with 90 db attenuation) is used the volumes levels have to be set very high and even so the volume seems low, i.e., playback volume has to be set to max to get medium or even below medium volume. How do I solve this problem so I can have a high quality audio recorded with the video and a high quality audio back up recorded on the Zoom H4N? Have you tried setting the output of the H4N? I believe you can set the output to line level. I’m in the market for an L-plate for my 7D, but I discovered today that RRS’s L-plate for the 7D no longer sports the bi-directional dovetail. Could you say a few words about what the benefits are? I’m not sure there’s a source for one anymore. I asked the RRS people if they still had any in stock and they said they did not. The real benefit of the directional plate is for when shooting video extensively with the 7D and using a video tripod. Video tripods have their plates oriented front to back instead of left to right, so this is where the bi-directional plate comes in handy. But if you are mostly using a still camera tripod you don’t need the bi-derictional plate. As far as I know you can’t force the camera, but there are a number of options available. The simplest and cheapest is to get a small adapter that takes the signal from the left channel and send it to both. You should be able to find this at a number of electronic stores. But what I do is do this exact thing while editing the video. Most video editing programs have a simple setting to correct for this exact problem. I enjoyed the article very much. However, my issue is with my 7D and my wired lav that is plugged directly into it (1/8″). I am only getting sound in one side of the earphones with the mic. I can get sound out of both sides if i don’t use the mic. My situation: i record auditions for local actors and i don’t need a separate recording system. i just need a wired or wireless lav (or shotgun with 1/8″) to plug directly into my 7D and for sound to come through both sides. i only use iMovie for editing the scene&slate together, i don’t need more than that…it also does find on allowing me to get rid of the hiss–which is louder with the lavaliere mic – there is hardly any if i just use the camera… You’re saying ‘why even use the lav mic at all? It’s because the ‘reader’ is usually closer to the camera and their voice overpowers the actor’s voice unless i use a lavaliere (a $50 radio shack lav mic and 16′ extension cord). That’s my dilemma. any help would be greatly appreciated as far as what lav would produce sound from both sides. Thank you in advance. -helpless when it comes to audio. Most microphones are mono not Stereo, specially Lav mics. You can buy a stereo microphone like the Rode Stereo VideoMic (http://www.rodemic.com/microphones/stereovideomic) and you will get sound from both sides. Alternatively you can get a small adapter to send the single channel signal to both L and R sides or you can also do this in your video editing software. Just wondering if this set would work using an H2n recorder vs an H4n? I would imagine that it would. It is pretty easy to put together using the parts I have listed. Hi! I’m shooting an interview where the speaker and the translator will be speaking almost simultaneously. I’ll be using two lav mics and plugging them in on the xlr outputs. I don’t need any ambient sound. Is it possible to split their voices in two tracks on the edit table if I’m shooting in stereo mode? Or should I be using the multi track mode? The subject and translator have to have their own audio track, one to use and one for subtitling purposes. Very new to this so hope I’m making sense.